It'll be interesting to see how you do certain things. The map has more overlapping areas than Coruscant does - the Carbon Freezing Chamber is directly beneath one of the ship platforms. EDIT: Video of Bespin. Looking pretty great so far! I'll say what I said in the video's comments. - Many of the interior areas don't light the unit models properly. Directional lights bound to regions encompassing these spaces would help a lot. - A lot of the interior sound streams are super loud.﻿ Lowering their gain would be ideal. Things are still going to be changed though. From fixing bugs to maybe changing the way how it is currently looking. But design and layout-wise, this is how it is going to look/be like. I had to cut the "basement" part and pasted it next to the "main" part...due to AI pathing issues (two stories don't work, unfortunately). This might ruin the originality of this map but still...it's the best solution to fix this. I love it, even more than Coruscant! It definitely reminds me of the swbf elite squadron's Bespin - which, I think, it should be almost the same, great job! Wow, that's amazing! Even there's no proper illumination done yet, it looks really cool, great job! Think this may be one of the best mods to look out for just hoping that all of your maps continue with this amount of detail. As well as a range and variety to heroes similar to EA's Battlefront where they include Nien Nunb, Dengar, Bossk etc. Would love to see a Wedge Antillies. 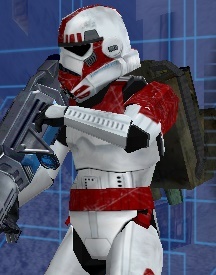 For the campaign I'm just holding out to be able to start as a normal trooper like a rebel or clone and rise through the ranks either that or become a Jedi general in galactic conquest. Keep up the good work . I don't know if they plan on doing a campaign. If they do, it'll likely follow SWBF3 and have you playing as X2. HW7 wrote: Think this may be one of the best mods to look out for just hoping that all of your maps continue with this amount of detail. As well as a range and variety to heroes similar to EA's Battlefront where they include Nien Nunb, Dengar, Bossk etc. Would love to see a Wedge Antillies. For the campaign I'm just holding out to be able to start as a normal trooper like a rebel or clone and rise through the ranks either that or become a Jedi general in galactic conquest. Keep up the good work . I've seen these kinds of post on their moddb page cause someone asked them to make the Bespin map like TFU and people need to realize they aren't going outside of the cancelled Battlefront III and wont be doing anything other than what was in that game so those characters wont be added cause they aren't in that game. 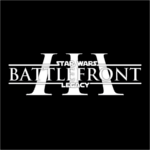 But as for the campaign they are working on one or going to be working on one this was quoted from their latest release on moddb and if they are following SWBF3 than you should be playing as X2 throughout the campaign from a soldier to a rebel to a jedi. The mod is still in development, more maps are planned to be made as well as a campaign. I definitely will be following this Bespin map, should be a very big improvement over the Battlefront 1 Bespin that we all know and love! I also hope that this map does not have a lot of problems that need to be worked out but it might since it is a tougher tackle than that of past maps made for Battlefront 2. I'm honestly surprised that this comment thread has not been updated about the Galactic Civil War heroes and villains. Domino555 wrote: I'm honestly surprised that this comment thread has not been updated about the Galactic Civil War heroes and villains. Frequent updates are on the discord channel created for this mod! I am sorry if this is seen as an annoying post, but there has not been a update for a long while. Will that change soon? Warregory wrote: I am sorry if this is seen as an annoying post, but there has not been a update for a long while. Will that change soon? Bespin has been improved during the past few days. During the past month I have been working on finishing the gcw sides including units, heroes and some vehicular adjustments. I am sorry for late updates; time is a very important thing and lately I am getting less from it. I couldn't show you everything but the units here are pretty much like the units for the empire. Although there are still some things you'll see much sooner than you might expect. I want to apologize for my behavior. I am barely online and didn't post much during the past days/weeks. There are reasons I could tell you can some I where I couldn't. -The Alliance side is 99% finished. Besides some bugs and graphical glitches they are (like the empire) in a fully playable state. -The HUD is also finished. -The three maps are being polished right now. I am still adding a few additional props to have a more "life environmental feeling" thing...and cover. -After I polished the maps a bit and fixed some bugs I would continue and finish the whole side stuff first (including heroes, vehicles, units...). But there isn't that much to do. I wrote down a personal list of to-do's when it comes to the GCW era and there isn't all that much to fix/add now. There ARE some small bugs. But nothing is broken right now. They fully work, they are currently well balanced...Just small, certain things which might still bother me a bit...But these can be delayed before the release of the Final Version. -Also I am currently working on getting all game modes running on all three maps including the inclusion of the GCW era (GCW supremacy for example is still missing for Cato and Bespin). -What else was still bugging me....hmm...not much. One big thing missing when it comes to the sides are the new soldier animations which still NEED to be done. 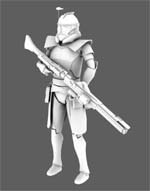 Otherwise it would look very goofy when clone troopers are holding their rifles strangely...(with their actual *fine* arms). Im sorry if i disturb you with such technical question thelegend but how you made the light tunnel where when you go inside the light turn on.Its the first shot on your video.How did you made that?Is it animated? Looking pretty snazzy so far! @Ginev: It is actually a door with a one frame animation. The trigger is a big cube and it's actually pretty simple. The light tunnel model is below the original dark tunnel model. 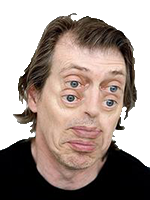 When going inside both model swaps. I also added a completely dark, material-less cylinder around the original dark tube to prevent the player from seeing through when the animation triggers (1 frame is still noticeable, so...). Aaaa thank you so much for pointing that.I was thinging for such thing but was not sure.Better hear it from you. OFFtopic:did you check my latest ground to space transition?I personally love it.